(38 Movements). 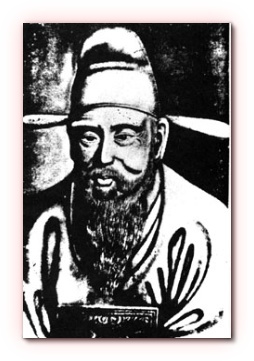 Yul-Gok is the pseudonym of a great philosopher and scholar Yi I (1536-1584) nicknamed the “Confucius of Korea”. The 38 movements of the pattern refer to his birthplace on the 38th degree latitude and the diagram represents “scholar”. Click the “next” and “previous” arrows on the image below to step through this pattern. Saju Jirugi, Saju Magki and Chon-Ji. Rare International Tae Kwon-Do (ITF) video produced by General Choi. You can see Grand Master Park Jung Tae, Grand Master Choi Jung Wha and other masters of the ITF performing tuls and explaining the movements of each Tul. Ojuk-hon “Black Bamboo Shrine” is the birthplace of the prominent Confucian scholar/statesman/poet Yi I, more popularly known by his pen name Yul-Gok “Valley of Chestnuts”. He was one of a select group of Neo-Confucianists who became powerful during the 16th century. Among the many positions he held were royal appointments as Korea’s minister of personnel and war, and rector of the national academy. Yi I was born on December 26, 1536. He was an infant prodigy who knew Chinese script at the age of three and composed poems in Chinese before the age of seven. By the age of seven, he had finished his lessons in the Confucian Classics. He passed the civil service examination in the literary department at the age of 13. Born near the town of Kang-Nung in Kwangwon-Do province, Yi I (Yul-Gok) was fortunate to have a very talented and artistic mother, Sin Saim-Dang. She was unusually accomplished for a woman of those times and was known as an excellent painter. Well-respected throughout Chulla and Kyongsang provinces during her lifetime, she has become more renowned throughout the world in the last 300 years. It is most likely that her talent had a profound effect on her son’s upbringing, he is said to have been able to write characters as soon as he could speak and to have composed an essay at the age of seven. At the age of 29, Yi I passed a higher civil service examination with the highest marks, and his government service started in that year. The thesis written by Yi I was a literary masterpiece interwoven with erudite knowledge of history and Confucian philosophy of politics, also reflecting his profound knowledge of Taoism. At age 34, Yi I authored an eleven article treatise devoted to clarifying his conviction that righteous government could be realized even in his days, showing his aspirations for it and also measures to achieve it. His mother’s death, when he was 36 years old, brought him deep sorrow. Being close to his mother, Yi I was very distressed when she died in 1559. According to some sources, as a result of this grief he temporarily renounced the world and took refuge in a Zen Buddhist monastery in the rugged and beautiful Diamond Mountains. During his one-year stay there, he meditated, reflected on Buddhist philosophy, and became well-versed in Buddhist teachings. He may have thought after three years of lamentation that the Buddhist phrase, “life is transient”, would ease his sorrow. He may have understood that the Confucian teaching, “preserve your mind and nurture your nature”, was synonymous with the Buddhist teaching, “open your mind and see your nature.” Finally, he may have regarded it as a pleasure simply to rest in the countryside. After leaving this monastery, he returned to society and devoted his life to studying Confucianism.  In later years, as he eveloped into a renowned philosopher, he acquired the pseudonym Yul-Gok. In September of the year he turned 40 years of age, he authored “The Essentials of Confucianism”, which is rated as a most valuable book showing examples for a good Confucian life. The Yul Gok Chônjip (“The Complete Works of Yul Gok”) was compiled after his death on the basis of the writings he bequeathed. Yul-Gok was well-known for his development of a school of thought concerning the philosophy of the 12th century Confucian scholar Chu-Hsi. 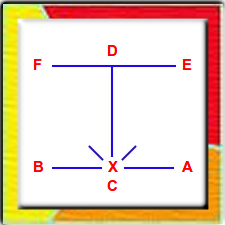 Chu-Hsi established the concepts of “li” (reason or abstract form) and “chi” (matter or vital force). He proposed that these two concepts were responsible for all human characteristics and the operation of the universe. As he defined the concepts, they are very similar to the concepts of body and soul in found in Western philosophy and religion. The “li,” however, is not totally synonymous with the idea of an individual represents groups or models for each form of existence. Yul-Gok’s school of thought supported the concept that the “chi” was the controlling agent in the universe and that the “li” was a supporting component. Experience, education, and practical intellectual activities were stressed in this school of thought. The other major school of thought, stemming from the philosophy of Chu Hsi, was fostered by Yi Hwang (Yi ToiGye), who proposed that the “li” controlled the “chi” and stressed the importance of moral character building. Yul-Gok’s school of thought was carried over into his personal life. In fact, he took sincerity very seriously. “A sincere man,” he felt, “was a man that knew the realism of heaven.” He once wrote that a house could not sustain harmony unless every family ember was sincere. He felt that, when confronted with misfortune, a man must carry ut a deep self-reflection to find and correct his own mistakes. In addition to his commitment to society, Yul-Gok emphasized the value of practical application. The reason for study, he asserted, was to apply the knowledge one gained. As an example f his dedication to this belief, he is said to have manufactured his own hoes and worked at the bellows, which was not usually done by a person of his stature. This attitude toward life was consistent with his concern for the improvement of the individual as well as for society as a whole. Yul-Gok’s concern for sincerity, loyalty, and the improvement of the individual was manifested in his own actions toward others. His stepmother enjoyed drinking wine, a practice Yul-Gok never approved of. Every morning, year after year, he brought her several cups of wine, never reproaching her for her habit. Finally, she decided on her own to stop drinking without ever having been told of his displeasure. In gratitude for those years of non-judgmental dedication, Yul-Gok’s stepmother clad herself in white mourning attire for three years after his death. Yul-Gok was also deeply involved in government and public affairs. He passed the state examinations at the very young age of 24 and was ultimately appointed to several ministerial positions including that of Minister of Defense. He did more for establishing a mechanism to obtain the opinion of the common people, a national onsensus, than any man in Korean history. Popular opinion of the masses, he felt, ust arise spontaneously from the total population. He knew that the survival and vitality of a kingdom depended directly upon whether public opinion was obtained from all sections of the population. Yul-Gok felt that public resentment could be directly attributed to misrule. Therefore, rulers should pay closer heed to the voices of their subjects. He was convinced that when impoverished people are deprived of their humanity, morality crumbles, and penal systems are rendered ineffective. Because of his beliefs and his fear for the survival of the kingdom, Yul-Gok initiated many attempts at government reform. In one such effort, he sought to establish local government structures that were based on an education according to the philosophy of Chu-Hsi. He drew up set of village articles (Hyang-Yak) designed to instruct the villagers of Hae-ju in Confucian ethics. This government, however, was run by the elite class (Yang-Ban) and ultimately failed due to corruption. Yul-Gok was also the first to propose the Tendong (Great Equity) System for solving the financial crisis of the Korean government. Under the Tendong System, taxes would be levied on land rather than on house holds and government would be required to purchase local products with tax dollars. In addition to his active involvement, Yul-Gok was also inadvertently pulled into a serious political squabble by virtue of his philosophy. In 1575, the Korean government became mired in a political stalemate that ultimately contributed to its inability to repulse the invasion by Japan some ten years later. Two distinct factions, polarized within the Korean government, were constantly at each other’s throats. These factions riginally arose as a result of a personal quarrel between two men, Sim Ui-Gyom and im Hyo-Won. Ultimately, every official in the government had to align himself with one side or the other or risk attack by both. Since Kim’s residence was in the Eastern quarter of Seoul and Sim’s was in the western quarter, these two factions became known as the Easterners and the Westerners, respectively. This feuding continued long after Kim and Sim had disappeared from public life, and often took the guise of schemes designed to have members of the rival faction exiled, removed from office, or executed on false charges. These two factions were not only at odds politically but soon became philosophically opposed, with the easterners following the teachings of Yi-Hwang and the western faction following the teachings of Yul-Gok. These philosophical differences tended to drive the two factions further apart, increased the conflicts, and made the functioning of government virtually impossible. In 1583, a year before his death, Yul-Gok proposed that the government train and equip a 100,000-man Army Reserve Corps. This suggestion, like others he recommended, was undermined by minor officials who were caught up with the east-west political conflict within the government. It was unfortunate that this suggestion concerning national security was never allowed to be implemented. Nine years later, the Korean military forces and government officials failed in their resistance against the invasion by the Japanese army of Hideyoshi, resulting in the occupation of Korea. Although never really permitted to see his theories and systems applied due to the political environment of the time, Yul-Gok nonetheless was an extraordinary philosopher. 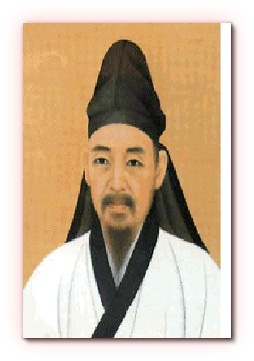 Long after his death in 1584, Yul-Gok has continued to have a profound effect Upon Korea and the world as a result of his lifelong dedication to Confucianism and theory of government.